Update number 4. I lightly filled out the rest of her fur, and began defining the window sill. Freda now has a complete coat, except for the fact that it is a bit light. I'll accent that more later. 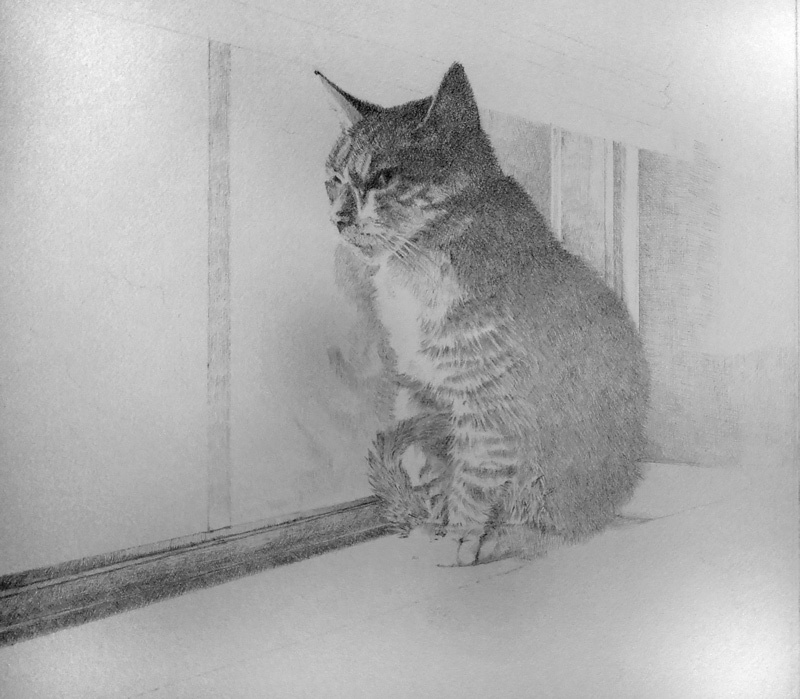 At this point, I wanted to start to tie in the background to her, so I started building up the window sill with a combination of an HB woodless pencil and a 2H.